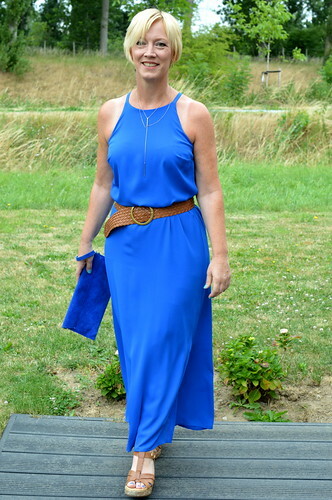 Today I’ve got for you a bright blue maxidress with which it was love at first sight… Read on to know more about it! 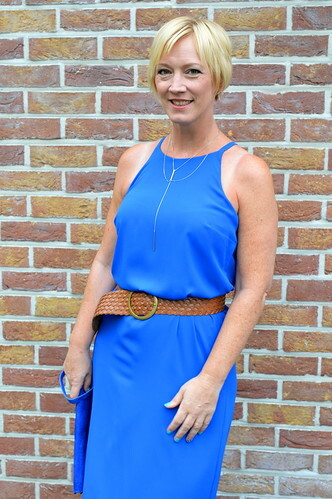 This dress was another buy from my daytrip to Utrecht at the beginning of June… I know… I bought quite some things that day (remember the palazzo pants with white top and the black midi dress?) but the mid-season sale was just too good to be true so I bought this blue dress as well! This dress doesn’t need much in my opinion. For this fashionpost I style it with my natural coloured wedges and a woven belt. 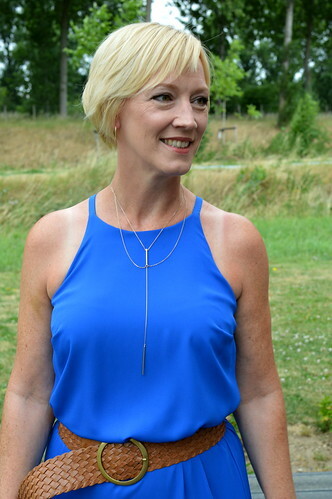 I added a fine gold-coloured necklace and earrings and my blue suede clutch to go to the birthday party from my niece and nephews. For the chillier night, I took my denim jacket and a gold coloured scarf. Do you like this maxidress? Would you wear it in such a bold colour or not? Here you see me in another maxidress! This entry was posted in Fashion, Outfits, Summer and tagged dress, Fashion, gabor, lola en liza, maxi dress, mylène, outfit, wedges. You look beautiful in this dress! I think you are right that this dress doesn’t need much, the necklace, earrings and belt is enough. But I think that high heels and fine belt will also the good choice to complete this outfit. Love the dress and the colour! 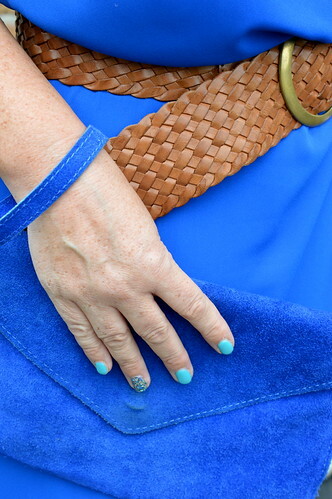 I have some items in this shade of blue myself, it looks great on blondes :-). Love it! 🙂 and the matching clutch you go girl! It looks great on you! 😀. I am very boring when it comes to dresses 😮. I like to wear belts with dresses as well, breaks it up a little bit. On a side note, have you joined in with blog promoting groups on Facebook before? I have just started my own up and would love to have you as a member, thanks 😀.